Maserati GB officially unveiled the hotly anticipated Levante SUV to a star-studded crowd at the renowned Royal Horticultural Halls tonight in London. 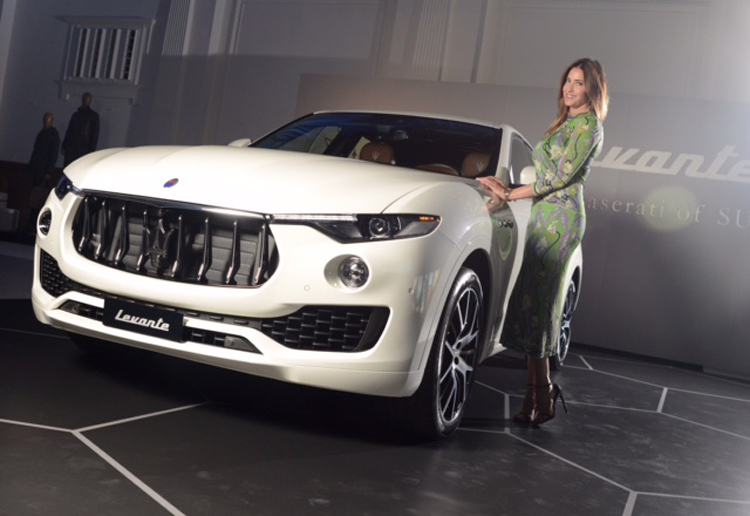 The event was hosted by TV and radio presenter Lisa Snowdon alongside Giulio Pastore, Maserati Europe’s General Manager and was attended by a host of celebrities and VIPs, including Sophie Ellis-Bextor, Alex James, Olivia Grant and Leigh-Anne Pinnock. Celebrations began with the unveiling of the Levante to the audience with the party continuing afterwards with music from celebrity DJ duo, Amber Le Bon and Becky Tong. Guests were also enthralled by the talented reportage artist Anna-Louise Felstead who painted a real-time canvas depicting the Maserati Levante with a London skyline backdrop in her signature style. The Levante is the brand’s first luxury SUV, encompassing the design, performance and exclusivity central to all Maserati vehicles since the Italian marque’s inception in 1914. 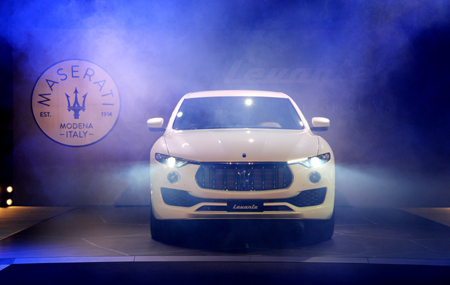 The new Levante is the ideal complement to the existing Maserati range. Combined with the Quattroporte, Ghibli, GranTurismo and GranCabrio, the range now covers the entirety of the global luxury automotive market. 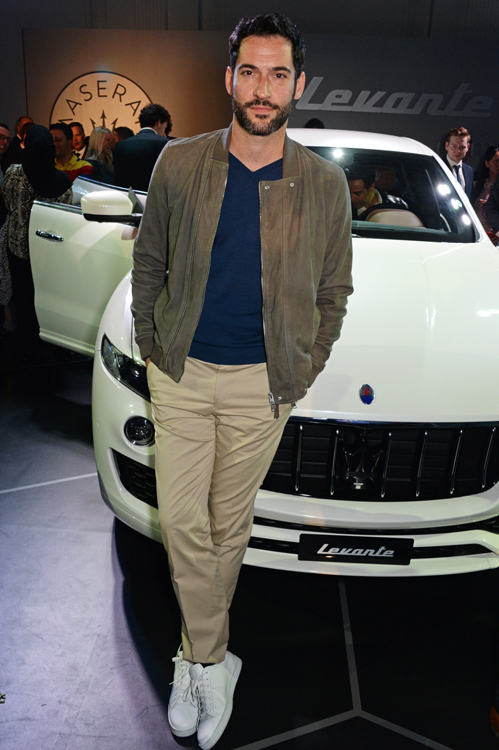 Giulio Pastore commented: “The launch of Levante tonight marks a truly significant moment for Maserati in the UK. With strong demand for luxury SUVs, we are now able to appeal to an even wider audience. Featuring active air suspension as standard, which offers five varying ride heights, the Levante boasts the lowest centre of gravity in its class, a 3.0 litre V6 Turbo Diesel engine, and a luxury ride comfort synonymous with the Italian brand. In the UK, the Levante Diesel will start at £54,335 OTR and can be upgraded to include either a Luxury or Sport pack at £60,285 OTR. The Levante can also be equipped with the Luxury Pack Zegna Edition at £61,185 OTR, featuring bespoke Zegna Mulberry Silk. The car will be on sale in the UK from next month, with first customer deliveries expected in the autumn, more information is available on www.maserati.co.uk.